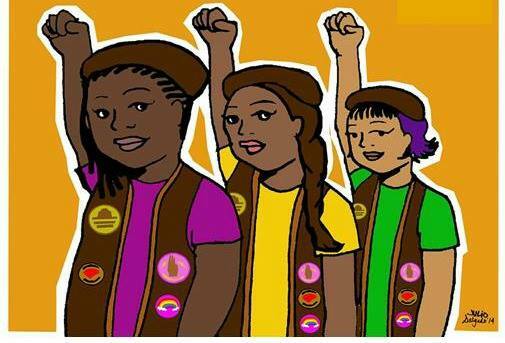 When I first ran across an article about the Radical Monarchs (formerly known as the radical Brownies), it gave me hope and relief that spaces are being created for young girls of color to discuss their experiences and ask questions about the world around them while also gaining the tools to navigate in a white supremacist social structure. These inspirational young girls are being taught radical notions such as self-love and empowerment. It is my personal hope that more troops will emerge and continue to make spaces for young girls of color to express themselves and develop a sense of community. The Radical Monarchs (formerly known as the Radical Brownies) is a group of young girls of color ages 8-12 based in Oakland. Co-founded by Anayvette Martiniez and Marilyn Hollinquest, the group focuses on social justice activism. The group has its own system of earning badges.The girls received a “Black Lives Matter” badge after creating a space to have a group discussion about police accountability and how a system of injustice impacts communities of color and participating in a Civil Rights march in Oakland. Other badges to be earned are the “Radical Beauty” badge and the “Food Justice” badge. 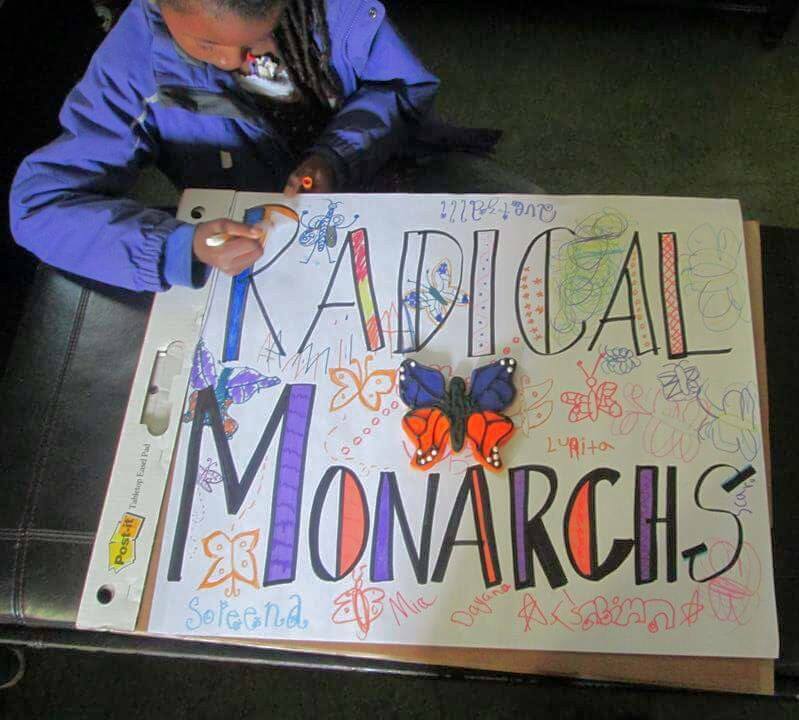 I am writing about the Radical Monarchs on Ladyblog because they are inspirational and because I have always believed that we underestimate what kids can understand and process. It is also my understanding as a WOC that anytime you stand up for something, there will be pushback (there are conservative articles about the Radical Monarchs as well as comment sections filled with people who do not get it). Young girls of color need these spaces. To the Radical Monarchs: Keep learning and questioning. Don’t let those who cannot step outside of themselves ever make you doubt what you stand for. I look forward to seeing how much impact these girls make in their communities and how many other girls they inspire to do the same. The Radical Monarch FB Page. Read more about them at Feministing.